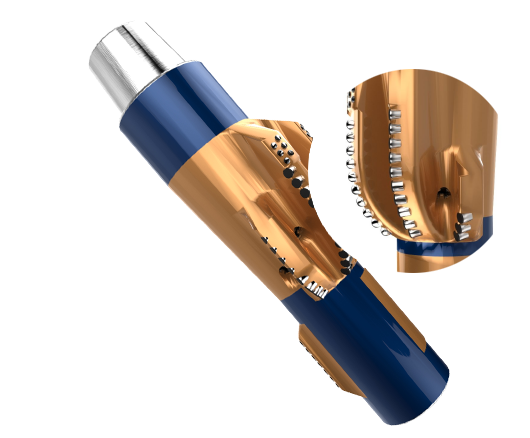 The Panda-EDR (Eccentric Drill and Ream) tool is designed to drill an oversized hole, similar to bicenter bits, through simultaneous drilling and hole enlargement. The ability to drill and ream in a single pass has many advantages in deeper, high pressure, high temperature wells. With longer intervals and extra casing strings, often through unstable or encroaching formations, advantages of simultaneous drilling and reaming can result in significant cost savings.